In 2008 and 2009, BlueScope Steel Pty. Ltd. supported the implementation of a mathematics teaching and learning project in the Illawarra district. BlueScope Steel prides itself on being a good corporate citizen and actively seeks opportunities to share its successes with the community in which it operates. The linking of the AMSI program to the widely recognised and respected brand within the Wollongong area, together with the support of the University of Wollongong, established a high level of credibility in the community. It was seen as assisting greatly in encouraging schools, teachers, students and parents to take a careful look at the program on offer. The AMSI/BlueScope Steel program required many direct contact visits to the area by AMSI staff for cluster and individual school Professional Development sessions and on-going teacher support, plus group meetings also involving the university. BlueScope Steel provided financial assistance, encouraged local publicity and attended major meetings. 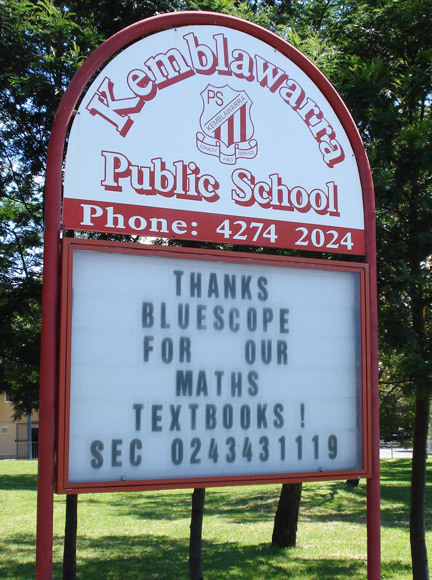 The focus of the BlueScope project was to work with secondary schools and their partner primary schools to enhance the teaching and learning of mathematics. AMSI staff liaised with the Regional Director, Department of Education, NSW and the Catholic Education Office, Wollongong, so that the relevant stakeholders were informed about the project. There was a large response from schools and it was agreed that we would accept twice our initial estimate of the number of schools. We began 2008 with two K – 12 schools, four secondary schools and their partner primary schools. In 2009 one secondary and three primary schools were added. In primary schools Years 5 and 6 were involved. In secondary schools, Year 7s took part in 2008 and Year 8 came on board in 2009. It was important to work with teachers across the transition years from primary into secondary school. Each meeting began with primary and secondary teachers discussing their implementation of the program, followed with a deep discussion about one particular area of mathematics and ended with group work about the practical implications of teaching that topic in the classroom. 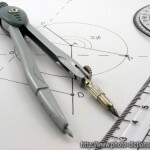 ICE-EM Mathematics textbooks in class sets sufficient for each student in years 5 to 8. This was extended to Year 9 in 2009.